Stand out from the pack with small business advertising solutions from Valpak of Central Alabama. Get in The Blue Envelope® of coupons or online with valpak.com and be seen by more than half a million metro area households that enjoy our coupons. We offer a variety of direct mail solutions including standard inserts, cardstock and circulars. Our dynamic coupon website can be linked directly to your custom business profile page. Valpak is a Google Premier Partner and our local team can help get you found on Google for the keywords that people associate with your business. Track your ROI with precision using Valpak of Central Alabama’s consumer behavior tracking features. Choose basic call tracking or the digitally integrated performance tracking to get full, frequent and accurate reports on how your advertising spend is doing. Show consumers what you’ve got by partnering with a trusted brand: Valpak of Central Alabama. Reach up to 130,000 desirable households in Birmingham, Chelsea, Vestavia Hills, Homewood, Hoover, Mountain Brook, Pelham and other communities. For specific dates and coverage, contact your Valpak of Central Alabama representative. 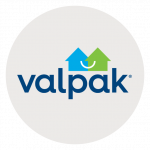 Valpak of Central Alabama is an independently owned Valpak franchise.